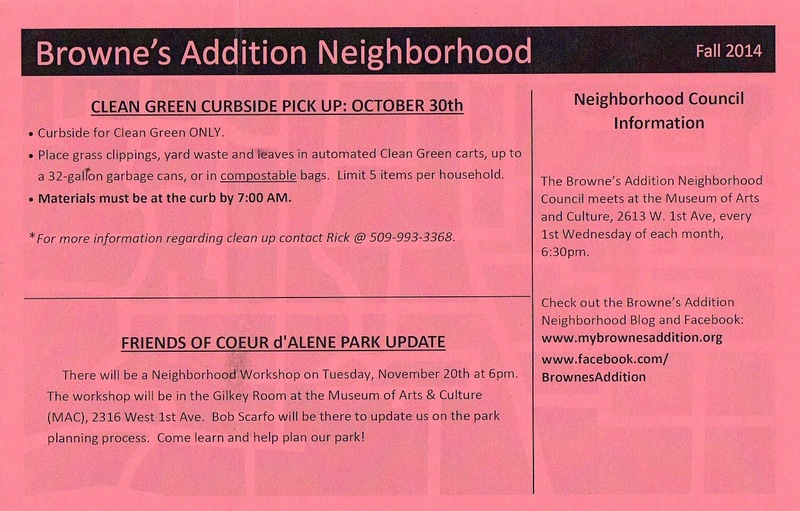 It's a bit of a short notice, but our Fall Clean-Up is set for October 30th (that's just 7 days from today). This is a Clean Green (grass clippings, leaves, yard waste) only affair. *** PLEASE NOTE*** The date printed on the Post Card for the Friends of CDA Park Meeting is incorrect. The correct date is TUESDAY, NOVEMBER 18. Sorry for the confusion stemming from this printing error.